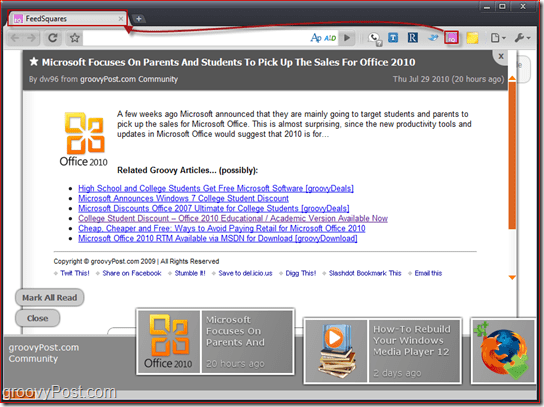 One of the great things about modern internet browsers is the ability to extend them with Add-on’s and Extensions. Some (including me) might argue that it’s really the user community that makes a browser worth using. Google Chome is no exception! Earlier I talked about the Illimitux Firefox Extension and today I decided to drop the list of some of my other favorite Google Chome Extensions with the hope that if I share my favorites, you might also (in the comments). So, here’s a few from my fav list! Enjoy! Truly amazing application. What it does is that is summarizes the overall opinion of the crowd for a particular topic or thread. The overall way the application summarizes results and opinions is nice and incredibly accurate. This is definitely one of the must-have extension for Chrome. As far as online RSS readers go, it’s hard to beat Google Reader. Sadly however, the Google Reader interface is quite boring and not very effective if you want to quickly skip through the news. FeedSquares aims to clear out these problems and brings you the news in a fresh way. No criticisms about the interface – customizable and easy to use, a quick way to inform yourself, and best of all – it’s even quite fun! 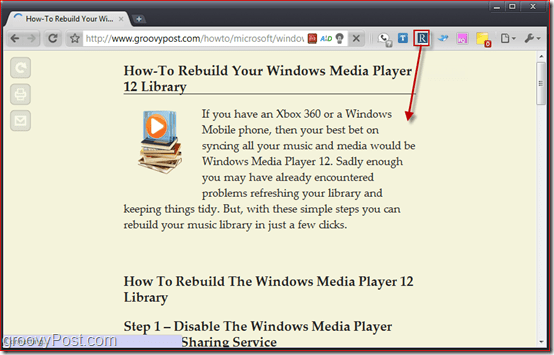 FeedSquares will surely replace any RSS readers that you’re currently using. You’ve heard of this one and you’ve seen it too. It’s the app that dims your screen and focuses you entirely on the video. This is good, mostly when you don’t want to be distracted while watching and when you don’t feel like switching to full screen just to ignore those annoying comments at the bottom. Easy and simple – nothing more to say. Slideshow is a small application that makes viewing images online much easier and more delightful. When on a page with photos (such as Flickr, Picasa, Facebook etc.) simply use the bar at the bottom of the screen to turn everything into a slideshow. A very simple application, but yet again – simple ideas work best. Have you ever stumbled upon a webpage that’s so horribly designed you can’t read a thing? Or maybe you just want to read that new tutorial again without getting annoying pop-ups that go “Congratulations! You’re the 999,999th visitor!…”? Solution found – readable. Readable does… what it’s name says – it makes text more readable. Just like Turn Off the Lights, it focuses you directly to the content you like to view. Best thing here is that readable can be used in virtually any website. What did I have to do today again? Don’t remember. My computer remembers, though. 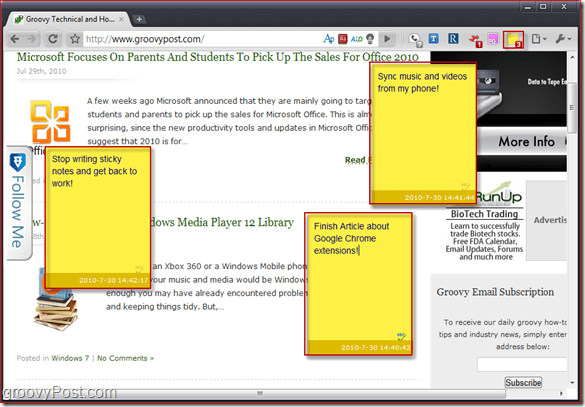 With Note Anywhere you can place notes in your browser pretty much anywhere. You get separate notes for each separate webpage and you get a groovy little red bar below your Notes icon where you can see how many notes you’ve got. 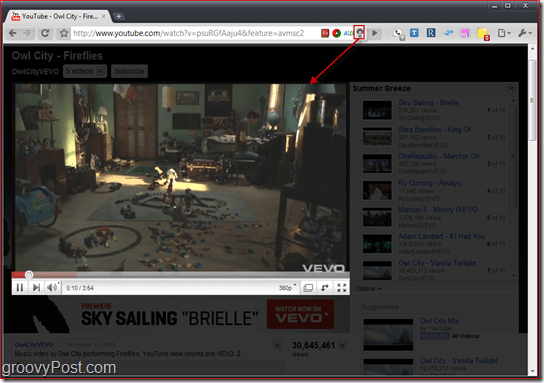 This is probably the best extension that goes with Chrome. It simply compliments it’s simplicity and also gives you a friendly interface. 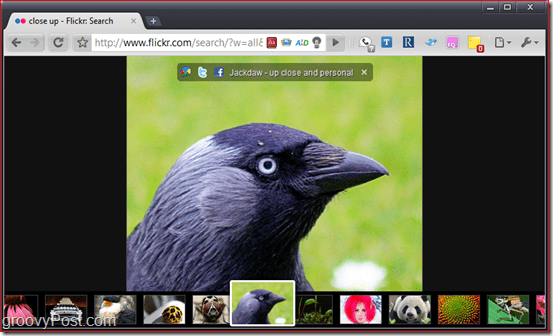 Chromed Bird lets you access your Twitter without even opening a new tab. You can Tweet, ReTweet, Reply and view the tweets from the people you follow. 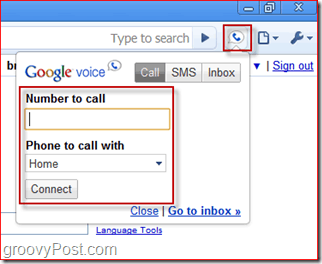 For every person who’s a Twitter addict, this is truly a must-have extension, even if you don’t use chrome very often. 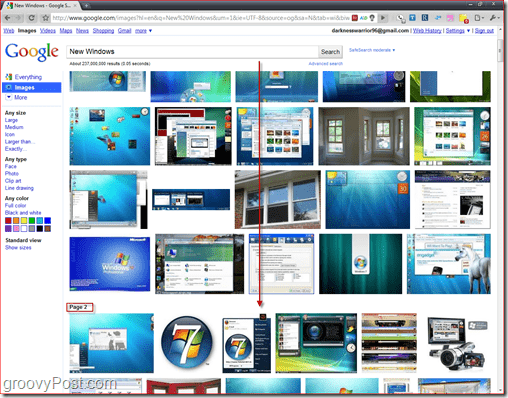 Google images is used by millions of people every day. You are one of those people. You’re probably used to having to click and click for each new page of photos, but with Chrome and AutoPager you can put an end to all this madness. From now on it’s just scrolling and scro-o-o-oling down until you find the picture you’re looking for. At first, this idea didn’t appeal to me very much, but the more I used it, the more I discovered I can’t live without it! AutoPager simply makes multi-page places on the web easier and more fun to view. groovinJackman did a great write-up which pretty much speaks for itself so I won’t elaborate further. These are just a few example of my favorite apps however for the complete list, drop over to the google extensions homepage for the complete list including the Most Popular, Most Recent and Top Rated. Oh, and don’t forget to check out the chome extensions that were featured by the Google Chrome Team! 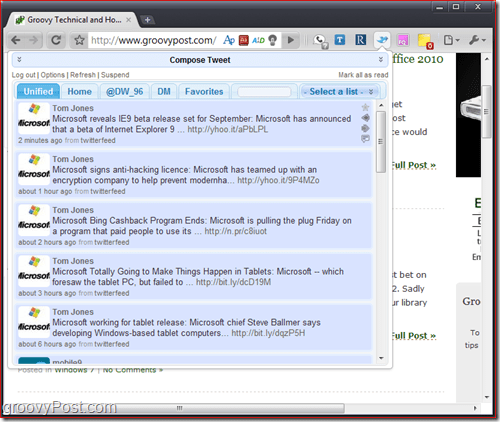 Do you have a favoriate Google Chrome Extension / Add-on? Drop your tip in the comments PLEASE! I’m always looking for great apps! So many extensions and so little time to check them all out – it’s hard to choose a favourite. I’m a huge fan of Chrome – Really like Chromed Bird, and Chrome TV (let’s me catch up on news from the Emerald Isle), but the one I use the most right now is Last Pass. Nice one :) I was also wondering where the hack this anti-hacking to has been mentioned? ;) Yeah I forget to remove all the PINGS from my own posts… Eitherway, welcome to the site Alex!